Location: a beautiful view from the balcony, very close to the beach, restaurants, hiking trails. Good kitchenette. Very clean. Very clean room and great location! We really enjoyed our stay! We loved absolutely everything there! The hosts were very nice and friendly but in the meantime they made sure to be as discreet as possible and they did not bother us. Still, the room was cleaned absolutely everyday and the towels were changed every 2 days. I honestly think Linardo has the best view in Asos ( we stayed in an upper floor studio). Also, we think that the room is lovely decorated, with quality furniture and it has everything one may need for a good and pleasant vacation. We want to thank very much the hosts for everything! Excellent location. We love the place, and the Linardos location is perfect. Beautiful apartment! Host is very friendly. The view from room is breathtaking, should stay here more days. Highly recommended! 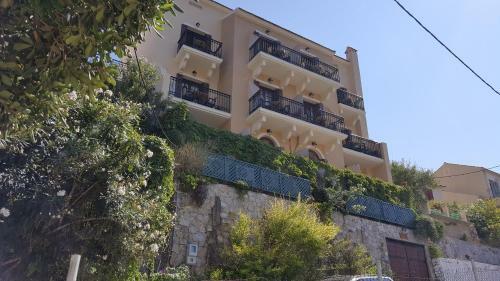 Spotlessly clean studio with good balcony overlooking the bay. Nice modern bathroom with excellent shower. Sheets and towels changed every other day. Friendly owner. Loved the view and leaving the doors open so the patio and view were just an extension of the room. Hostess was waiting on us for our arrival and check-out was easy. Such a quaint, quiet place to stay for vacation. Nice location between Fiskardo and Argostoli, not too far from Myrtos beach. Lovely big room (we opted for the triple to give us a little more space). Amazing view from the balcony and very friendly host. We were left to our own devices after a warm welcome, which is my preference. The host does live in the accommodation and is available to answer questions, but leaves you well alone unless you ask for something. Nice and clean with modern bathroom and comfortable bed. 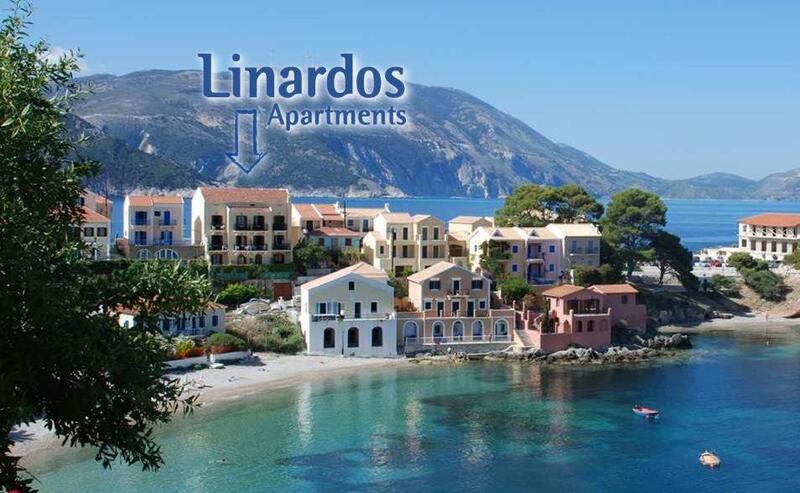 Lock in a great price for Linardos Apartments – rated 9.4 by recent guests! 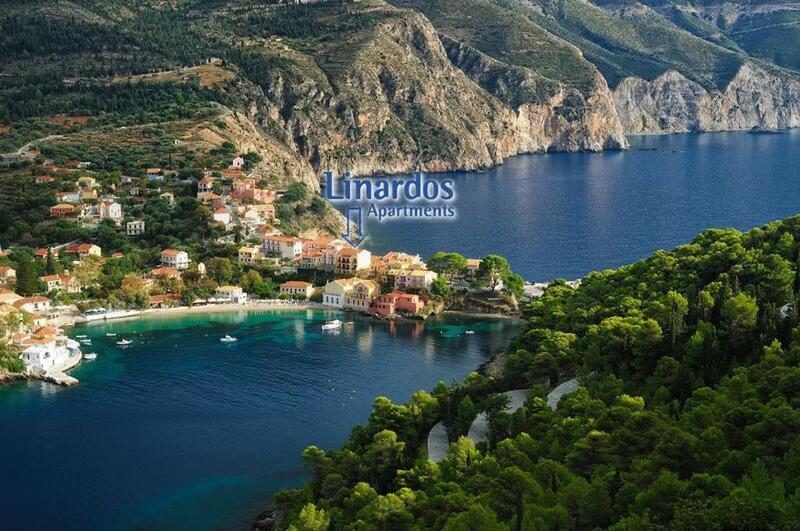 Linardos Apartments is located 50 feet from the beach of Asos in Kefalonia. It features self-catering accommodations with a furnished balcony offering panoramic views over the Ionian Sea, the village and the castle. A kitchenette with fridge and cooking hobs is included in all the air-conditioned studios at the Linardos. Each comes with a TV and a private bathroom with shower. Taverns, shops and cafés are within a 3-minute walk. Kefalonia International Airport is 30 mi away. When would you like to stay at Linardos Apartments? 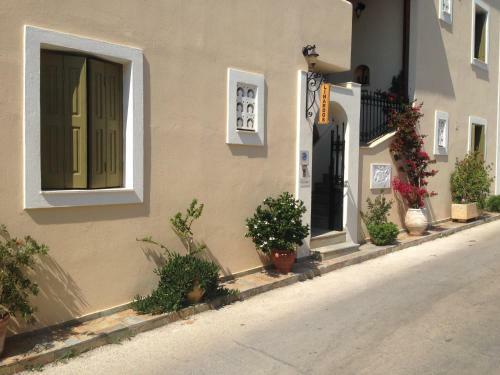 Just 49 feet from the beach, this air-conditioned studio offers a furnished balcony overlooking the Ionian Sea. A kitchenette with fridge and cooking hobs is included. Each studio comes with a TV and a private bathroom with shower. This studio has a balcony, kitchenware and sea view. This studio features a balcony, kitchenware and kitchenette. Offers sea views. This studio has a kitchenware, air conditioning and balcony. House Rules Linardos Apartments takes special requests – add in the next step! Linardos Apartments accepts these cards and reserves the right to temporarily hold an amount prior to arrival. Everything here is perfect. The view from the room is AMAZING and just for that worthy. The owner is really helpful and friendly, everything is clean and the room is well furnished and well equipped. Being there in October means finding less tourists and parking wasn't a problem. We definitely recommend this wonderful apartment! The top bed sheet wasn't big enough. Needed more hooks in the bathroom. Everything thing else! Beautiful location with wonderful views. Very good value for money. The apartment was very comfy it had everything you need, very clean, very convenient for the restaurants and beach, it had a stunning view of Assos harbour. Rooms are small and storage for food limited if not using the fridge, no table apart from balcony to sit at, but good enough if you’re planning on eating out most of the time. Comfy beds, quiet location and fabulous views over the marina , mountains and beach. The lady was waiting for us after a late arrival. We were a party of 6 - Husband and wife and their son & his wife and their 2 children. Our 16 year old grandson had his own room. Everything was perfect, superb, expecially for my son and his wife who had their own room with a small room off it for their 14 year old daughter who was a bridesmaid at our other son's wedding Komitath. Views from all 3 balconies outstanding and walking easy to centre of town and beaches, Thank you so much - The Ashton family. The balcony views! The quietness!